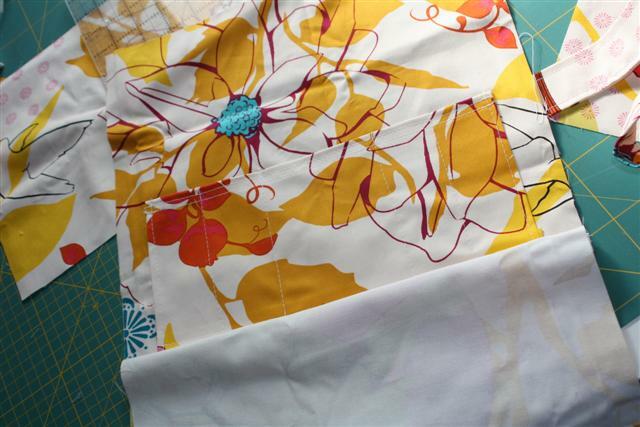 I was so happy about those real Anna Maria Horner fabrics that I hardly dared to touch them, let alone cut into them. But what use are fabrics like that? So I set to work anyway. The result? A bag. For me, of course (selfish, I know).